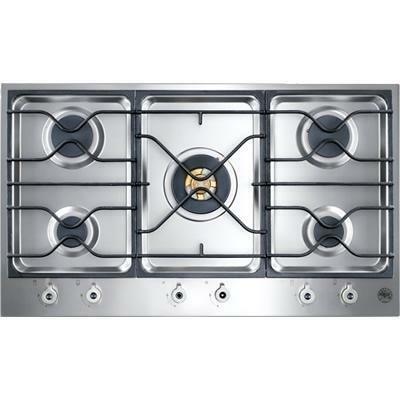 Bertazzoni built-in Design Series 36" cooktop with 5 burners. This all-gas model has two segments with rapid and semi-rapid burners, and the versatile dual-burner segment in the middle. 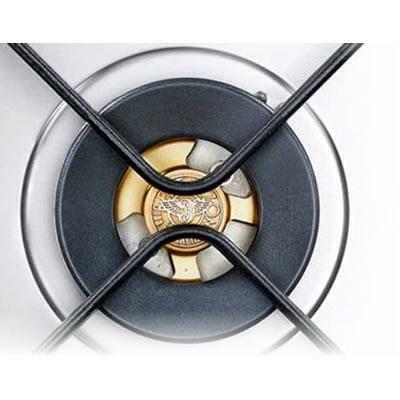 The distinctive gas burners are manufactured in solid brass. 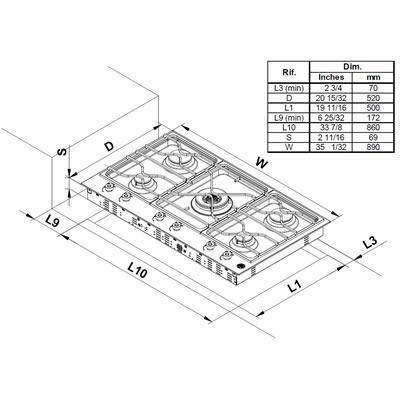 The low-profile design fits the standard cut-out for a 36 inch cooktop. It has been developed so that it also matches Bertazzoni Professional Series appliances. Power Output Semi-rapid: (2) 6200 Btu/h; Rapid: (2) 11000 Btu/h; Dual Wok: (1) 750 Btu/h - 18000 Btu/h. Additional Information Brass burner; Metal knobs control; Pan support: light cast iron; One-hand ignition; Safety device; CSA certified.